Fall is right around the corner, and every stylish woman needs a good pair of shoes for the upcoming season. Even if your outfit is simple, statement heels and boots will bring a lot of fun in your appearance. This fall, things are going to get interesting. The biggest shoe trends are the most daring ones. From what we could see on the runway, designers leaned on the 90s fashion for their Fall 2017 collections. In other words, there will be a variety of bold designs. You should get ready for another season of experimenting and playing with colors. Velvet is making a huge comeback, and you will see it in both clothes and shoes. Dries Van Noten introduced many fun velvet shoes, with amazing block heels. Dolce & Gabbana	always aim for luxury and high-end fashion. For Fall 2017, they offered jacquard boots, that remind very much of the royalty wear. According to Karl Lagerfeld and Chanel, sparkling boots will be the item on demand. 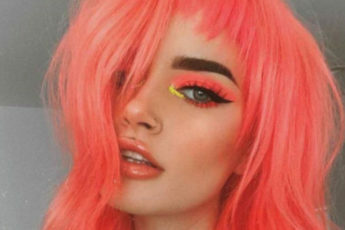 This is one of the most noticeable trends, and fashion influencers are going crazy over it. Feast your eyes on the biggest and the hottest shoe trends for Fall 2017 that appeared on the runways.